The remains at Dmanisi are thought to be early forms ofHomo erectus, the first of our relatives to have body proportions like a modern human. The species arose in Africa around 1.8m years ago and may have been the first to harness fire and cook food. The Dmanisi fossils show that H erectus migrated as far as Asia soon after arising in Africa. normal skull variation, both in modern humans and chimps, to see how they compared. 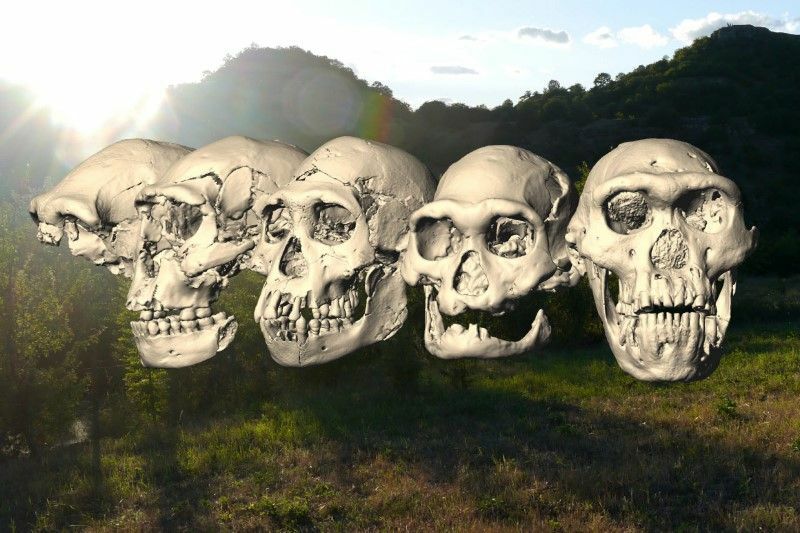 They found that while the Dmanisi skulls looked different to one another, the variations were no greater than those seen among modern people and among chimps. • This article was amended on 18 October 2013. An earlier version incorrectly located Georgia in central Asia.